As pressure on the captive orca programs at SeaWorld and other marine parks continues to grow, many animal advocates have turned to examine the lives of wild orcas as a comparison to those in tanks. And lucky for them, those lives are nothing short of spectacular -- and can be seen from any laptop with wifi access. It's the perfect way to appreciate the beauty of orcas -- without harming them in the process. 1. Up close and (extremely) personal with New Zealand's orcas. 2. Just like dolphins, orcas love to play in the wakes of boats. 3. A family of orcas -- some related to SeaWorld's own whales -- frolics off the coast of Washington. 4. 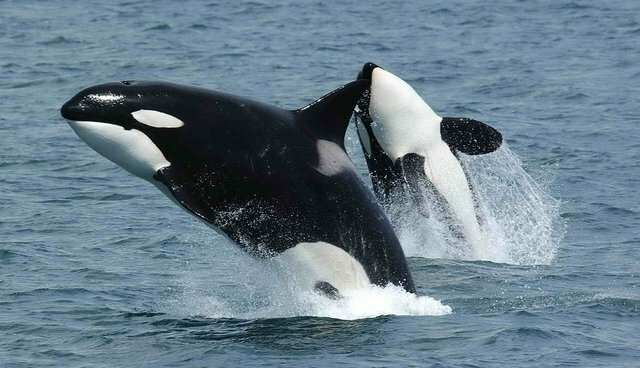 Wild orca jumps are far better than those in tanks. 6. Even a little jump is impressive. 7. And from a drone, the view only gets better.